It is indeed with great pleasure that the K.S.R. Institute is bringing out the reviewed edition of the much demanded publication of the Institute "The Siva Temple and Temple Rituals". This publication is the result of the seminar conducted by the Institute on 19th June 1983. The book edited by Dr. S. S. Janaki comprises of well-documented articles in English and Tamil dealing with important details to be observed in the construction of temples and the Puja paddhatis. 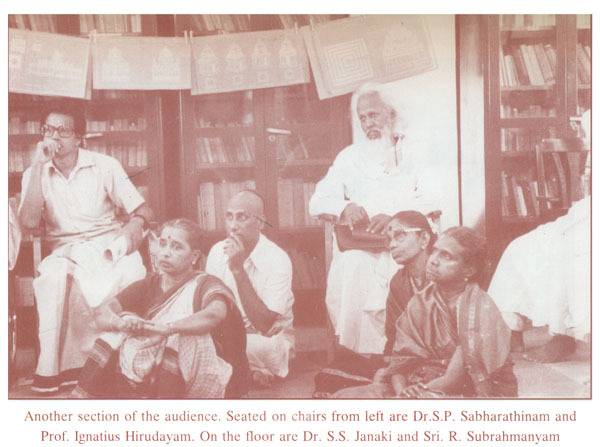 Dr. S. S. Janaki, former Director of the Institute was an internationally reputed scholar in Alankara Sastra and Saiva Agama studies. She was deeply involved in the studies of Saiva Agamas in the last two decades of her life. She considered it her mission to bring to light the matters lying embedded in the Saiva Agamas. Hence, she concentrated on studying the texts rather than editing and publishing the texts like Dr. N. R. Bhatt of the French Institute of Pondicherry. She worked in this direction by conducting Seminars/ workshops to understand the Agamas at theoretical and practical levels by inviting Sivacaryas, Sthapatis on the one hand and academicians in this field, on the other hand. 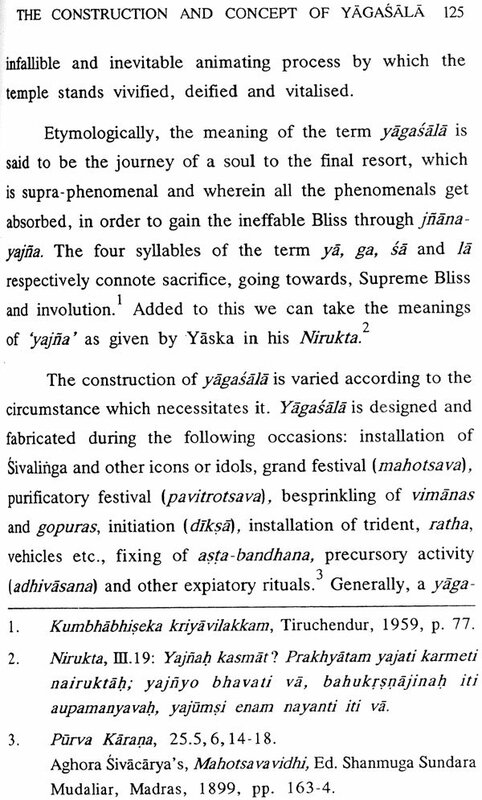 The first such seminar was held on 3rd July 1980; the second on 19th June 1983 on 'The Siva Temple and Temple Rituals the third on 11 th and 12th Nov. 1988 on Umapeti Sivacarya. His life and contribution to Saivism and the fourth during. 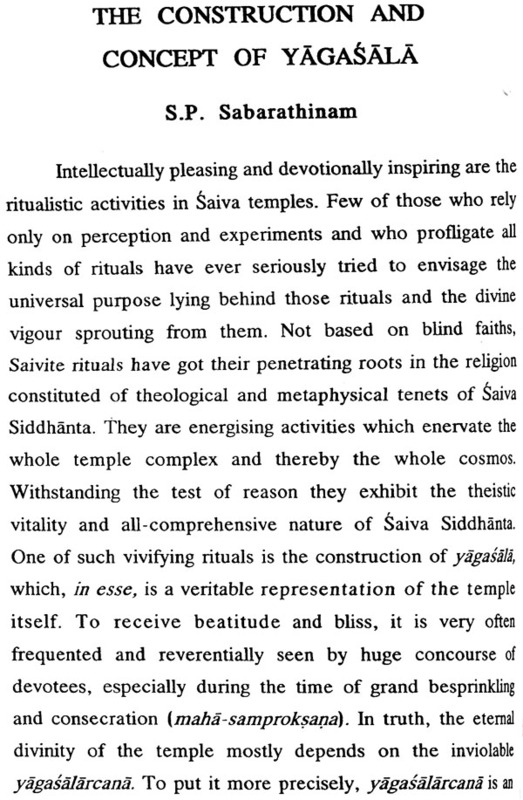 24-26, July 1992 on Saiva Rituals and Philosophy. Except for the first seminar, the proceedings of all the other seminars have been brought out as books. All the books have been well received and appreciated by both traditional and modem scholars, both in India and abroad. Dr S. S. Janaki also had produced a video-cassette on the performance of daily Sivalinga worship as prescribed in the Agamas. Sivacaryas and research scholars in Saivism and temple studies have found this quite valuable. The book "The Siva Temple and Temple Rituals" is offered to the public once again in a revised form as it has been in demand for long and the Institute has run out of copies of the book long ago. Owing to unforeseen circumstances this publication got delayed. The cost of the publication is met with from the Satyamurthi Birth-centenary Endowment created by Dr. N. Mahalingam, who had been the president of the Institute for more than three decades from 1983-2014. This endowment was instituted by him specifically for the purpose of conducting research in Saivism. As a mark of our respect to Arutselvar Dr. N. Mahalingam, this book is dedicated to him. At the outset, I must thank Dr. S.S. Janaki, the Editor of the publication "Siva Temple and Temple Rituals" for inviting me to write its Foreword. The Lord Almighty, who is the embodiment of this Universe, and is yet apart from every manifest thing, was visualized by the ancient Tamils more than two thousand years ago, as the embodiment of Love. To them and to all of us 'Anbe Sivam" is the most endearing definition of Lord Siva. Universe is Siva. 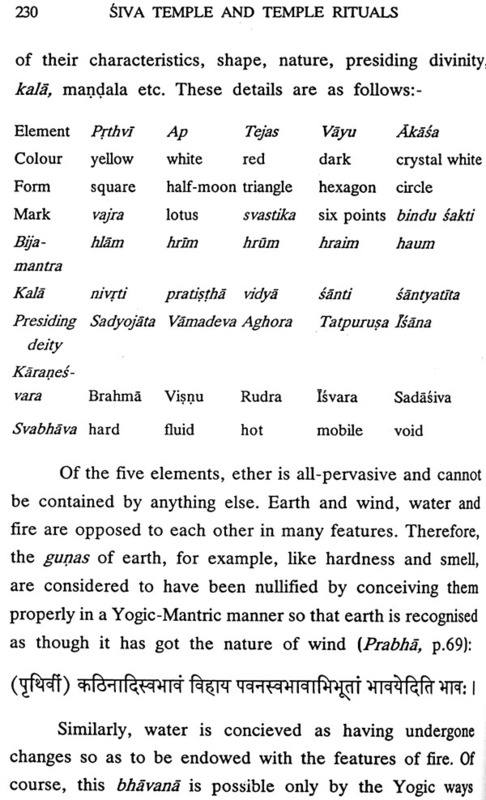 All of us are Siva and the world's cosmogony can be best understood only through 'Sivatattvam'. It is generally accepted that this universe is the creation of the projection of the Almighty, the Supreme Force. 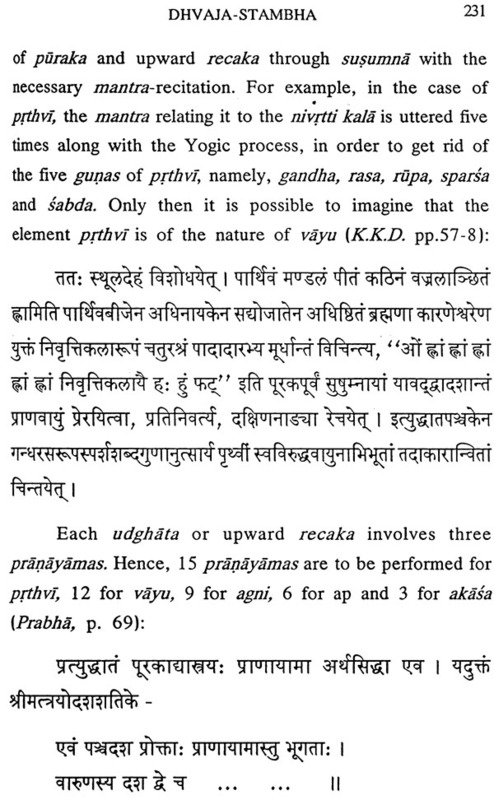 The Rudra-concept of Rgveds gives references to the Siva- aspect of Cosmogony. Creation of the universe is admitted by scientists to be of many million years ago. 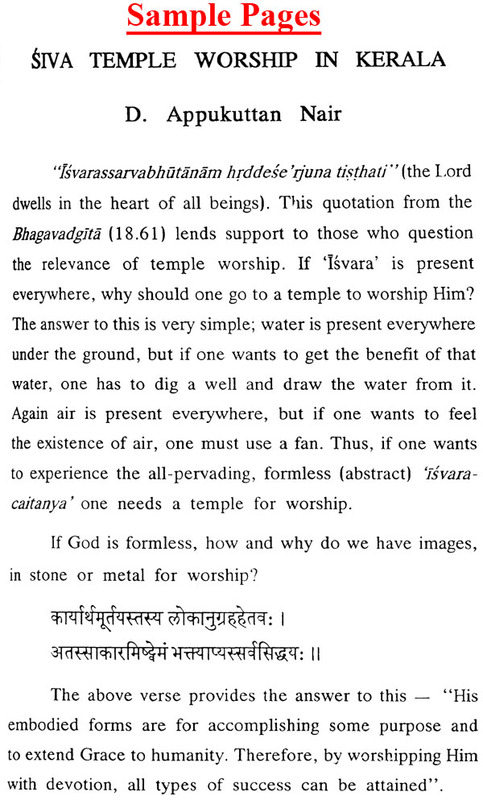 Siva-worship is as old as creation. Siva is the most ancient God of Tamils. 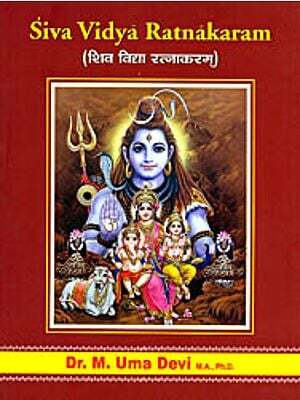 Siva is in all human beings in the 'akasa' form permeating throughout the body. Only when Siva makes a motion, there is productive force. So did Lord Siva in His lila with His 'Tandava' -dance as Sri Nataraja, set in motion all creation. Saiva-siddhanta posits that God dances in the soul and extends the life-principle to man. The dance of Siva represents the rhythm and movement of the world spirit. One can witness the dance of Siva in the rising Sun, in the waves of the ocean, in the rotation of the planets, in lightning and thunder and in the cosmic pralaya Without Him nothing moves. 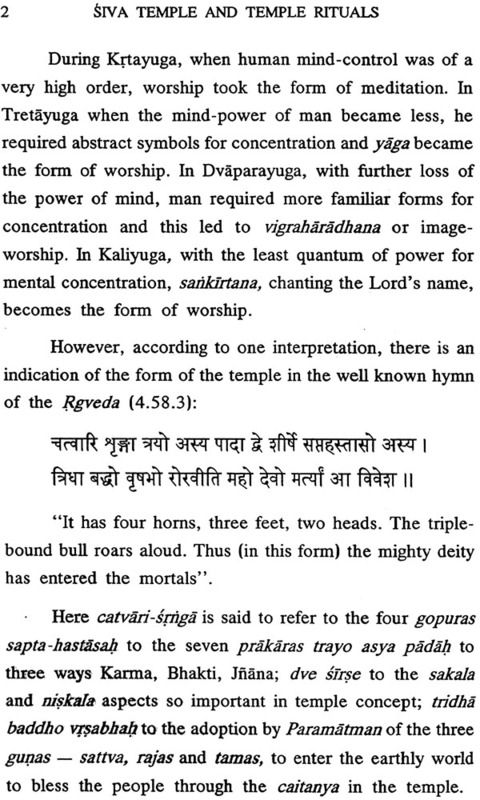 People of ancient times worshipped Siva in the form 'linga'. Some of the ancient rulers of Kumari Kandam had the title 'Siva'. A hillock in America reveals a hill called Siva. This is a precious evidence of the ancient people of America being Siva-worshippers. Many more evidences of Siva temples, places such as Columbia, Peru, Bolivia, Colorado etc., have been found. Siva as 'jothi' is the highest concept of Saivism. 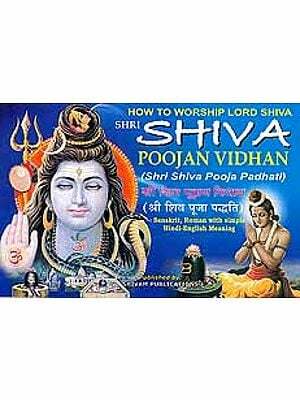 Siva represented as 'jothi' is found in Gujarat, Andhra Prades Tamil Nadu, Madhya Pradesh and in Maharashtra. Siva resplendent in Ramesvaram in Tamil Nadu where Siva was worshipped by Lord Rama before and after the great war with Ravana. The spiritual unity of India is thus apparent with an added significance in the belief that no devotee can get emancipated unless he bathes in the Ganges and has darasana. of Lord Visvesvara and also bathes in the Setu-samudra and gets darasana Lord Siva at Ramesvaram.